15 DIY Fall Home Decor Ideas To Try - Love These Autumn Inspired Ideas! Falling leaves, cooler weather, and pumpkins galore mean one thing – it’s FALL! We love these DIY fall home decor ideas, choose a few of your favorite and spruce up your home for the autumn season! I don’t know about you all, but I am so excited for cool weather! 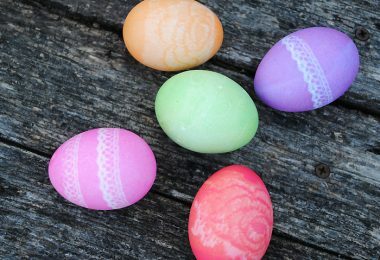 The end of the year is my absolute favorite, and I love to get into the spirit of the season. Fall is full of warm colors, patterns, and prints, and I think it’s time we all get into the swing of things at home. Here are some awesome DIY fall home decor ideas that you can try at your house this year, they are practical, budget friendly, and oh so cute! 15 DIY fall home decor ideas to try – love these ideas! Create this wooden box and fill with your favorite fall items – candles, pumpkins, pine cones, leaves – the possibilities are endless! Use scrap wood to create these beautiful wooden pumpkins. One of my favorite DIY fall home decor ideas! Buy pre-made wooden pumpkins here. Add a little color and bring your front porch to life with this fall DIY HARVEST sign. 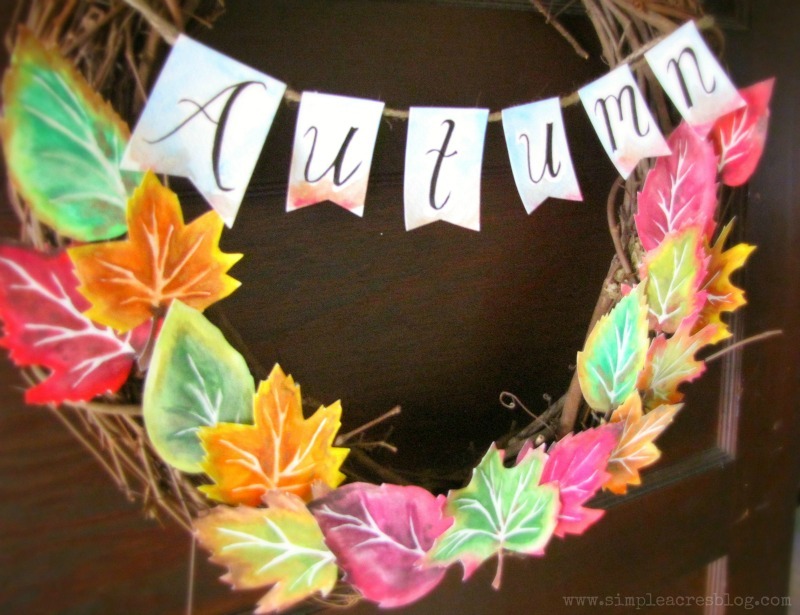 How cute is this DIY fall leaves banner made with book pages?! 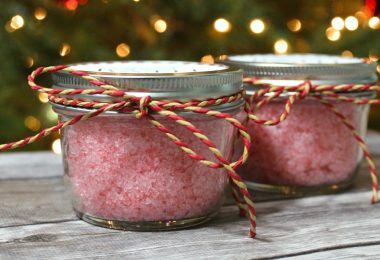 Hang this festive craft on your mantle or a side table, love it! 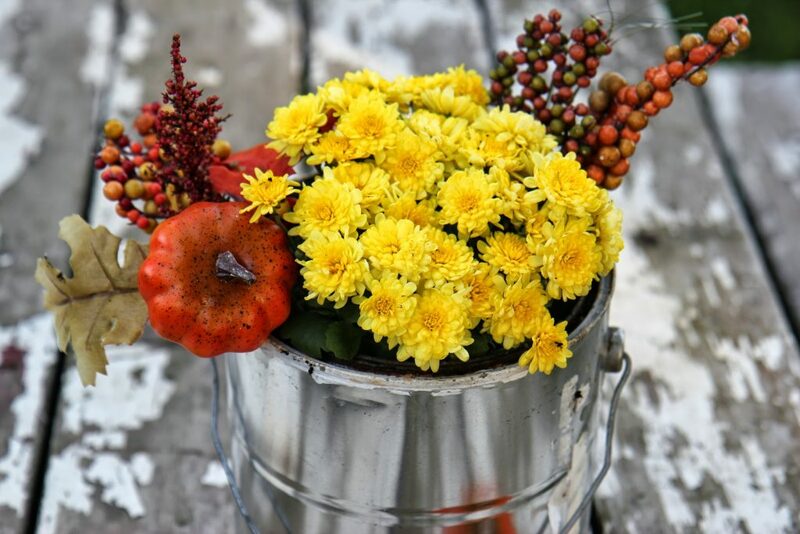 This old paint can turns into a fall floral centerpiece, transforming your dining table with beautiful autumn colors! Table centerpieces are some of the easiest fall home decor ideas to make, and this one is no exception! All you need are some faux leaves, candles, and twine – gorgeous! 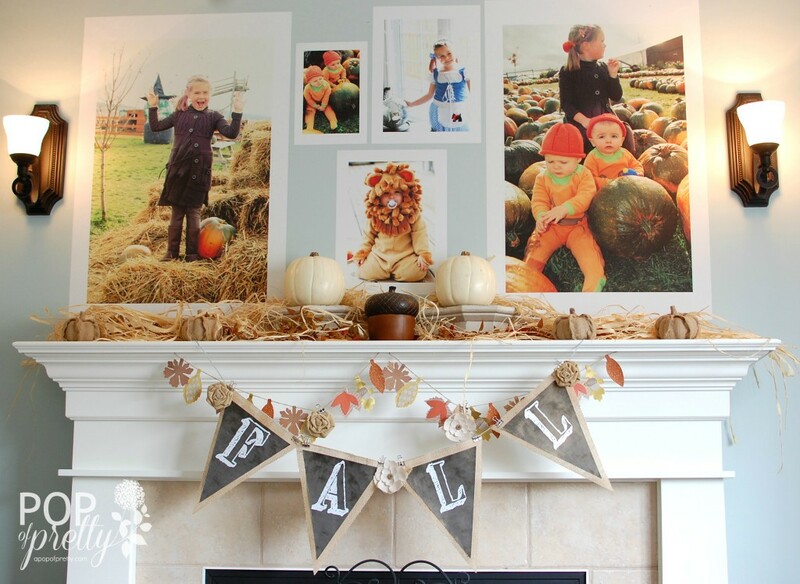 This is a wonderful idea – take your own fall family photos and blow them up to create a fun fall mantle! Mason jars crafts are some of my favorite, so I am all about decorating the house with these beautiful autumn leaf mason jar candle holders! There’s nothing like a cozy living space to enjoy, and the right accent pillows can work wonders! Pick your favorite fall color scheme and choose pillows that go with the theme. Buy some of the best fall throw pillows here. This floral fall wreath is easy to make and looks perfect on your front door! Love the ‘AUTUMN’ banner and the watercolor leaves look so real! I love the vintage farm style look of this porch, if you come across a bail of hay and some corn stalks, you’re well on your way to creating this beautiful fall look! I love this project so much! 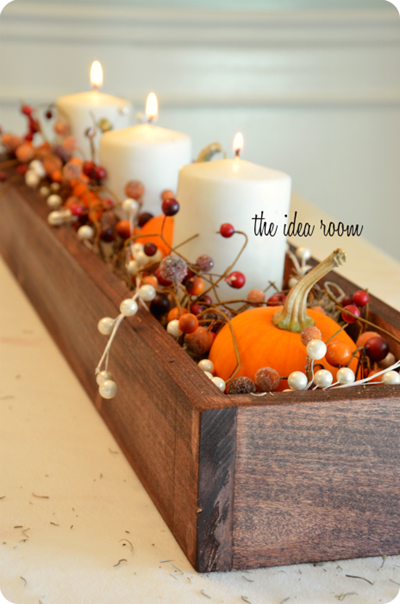 Use an old, small dresser or side table drawer to create this autumn inspired piece. This would look awesome on a large mantle, a side table, or a sofa table. There are lots of free fall printables that you can frame and hang at home – this one looks great on a fireplace mantle or on a wall, too. I love this fall quote “Well hello beautiful glorious fall,” and the black and gold colors are perfect with a lot of color schemes! 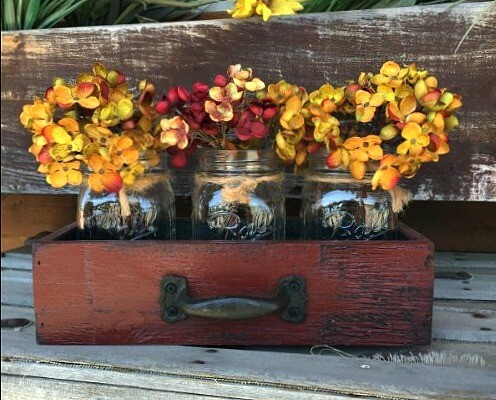 A simple piece of wood and a mason jar can go a long way! 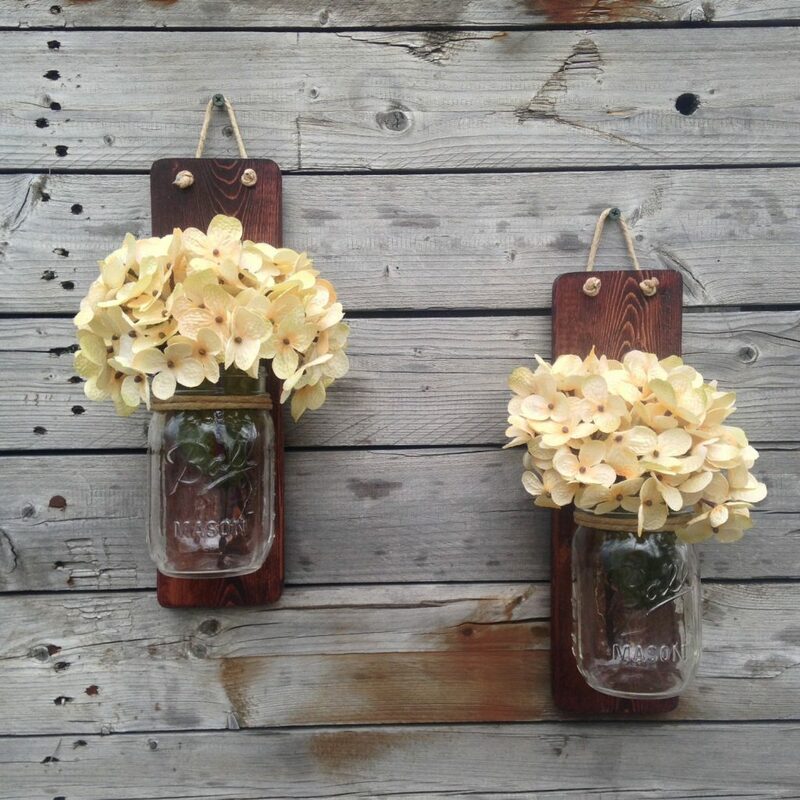 I love how you can mount these to the wall and change the flowers in the mason jars seasonally. Adding candles would be nice, too! 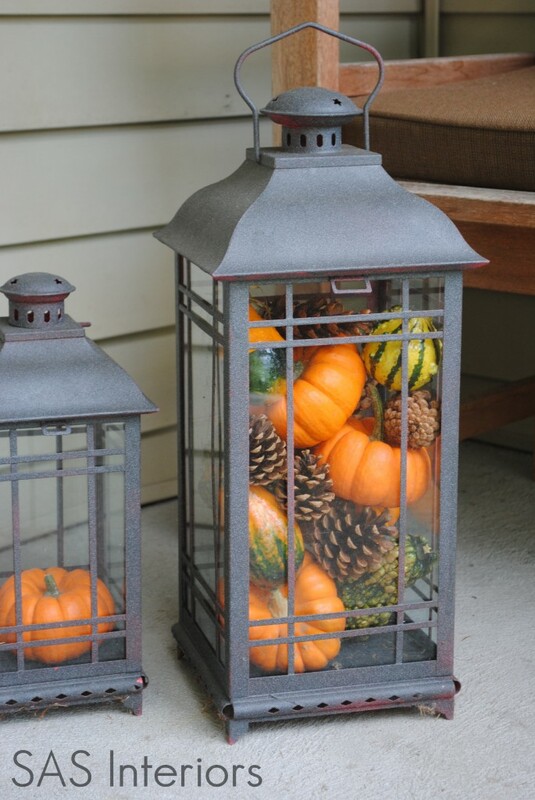 I love how these lanterns have been transformed so easily with mini autumn pumpkins, gourds, and flowers. What a simple way to add some fall colors to your porch! Buy similar lanterns here. 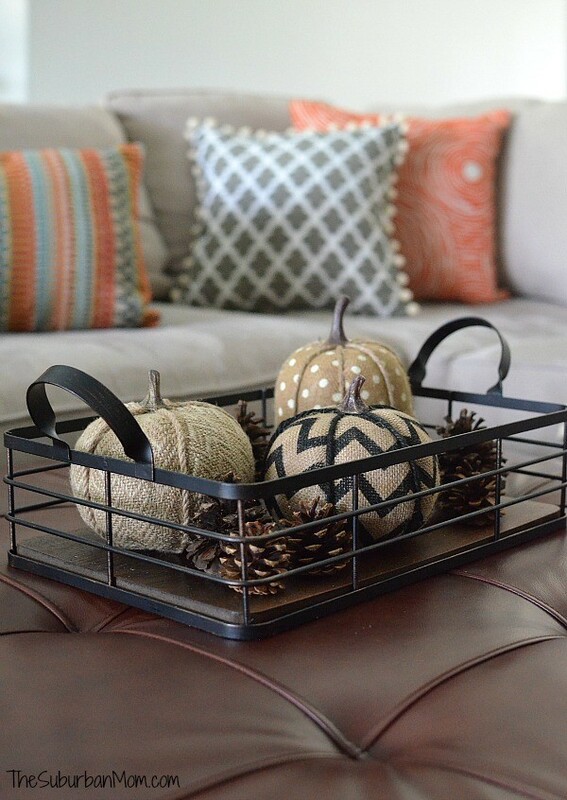 Which of these DIY fall home decor ideas are your favorite? Tow things I used to always follow for DIY home decor i.e frame and floral fall wreath that makes extra ordinary.